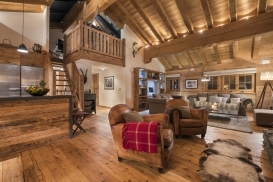 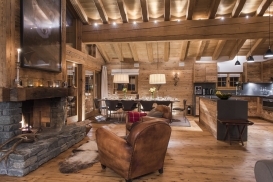 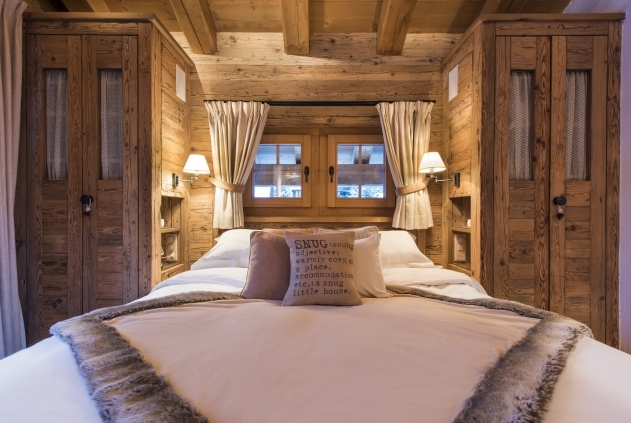 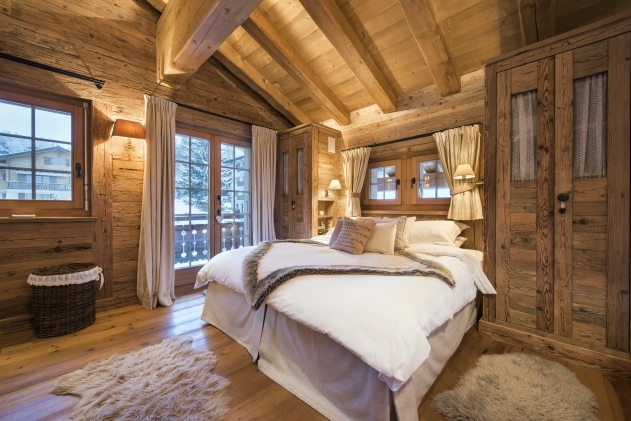 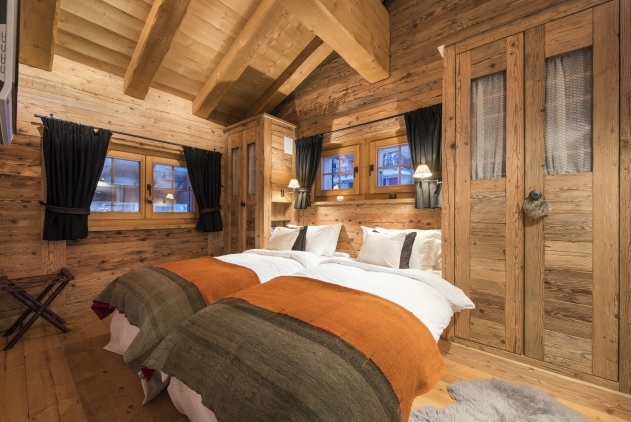 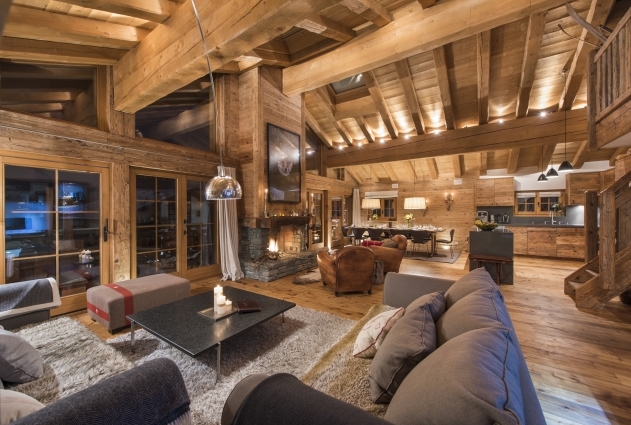 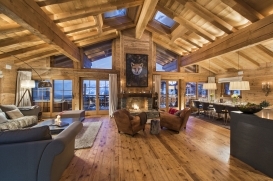 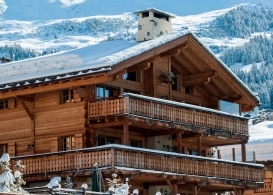 Apartment Teman is one of Verbier’s most luxurious penthouse apartments available to rent. 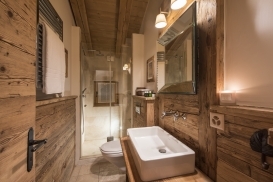 Designed by highly renowned local architects, attention to detail is at its finest. 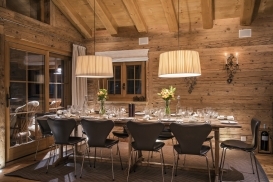 Ideally located just a few minutes walk from the centre of Verbier, however, guests still have the added luxury of the exclusive driving service day and night. 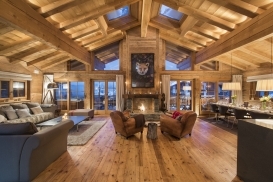 Sunlight floods through the living room's floor to ceiling double height windows, which open onto a large south facing balcony overlooking the valley. 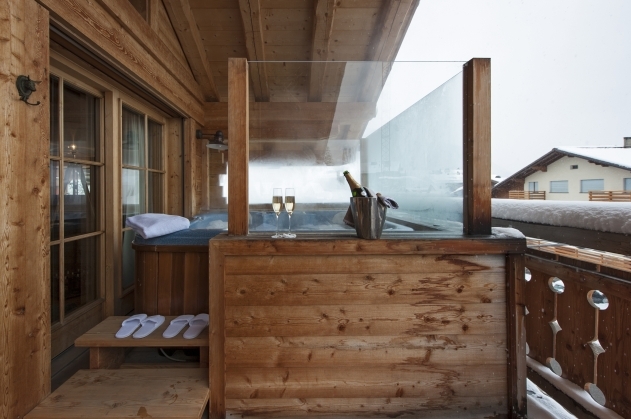 On the balcony, sink into the soft sheepskin covered chairs or enjoy a chilled glass of champagne in the private outdoor hot tub. 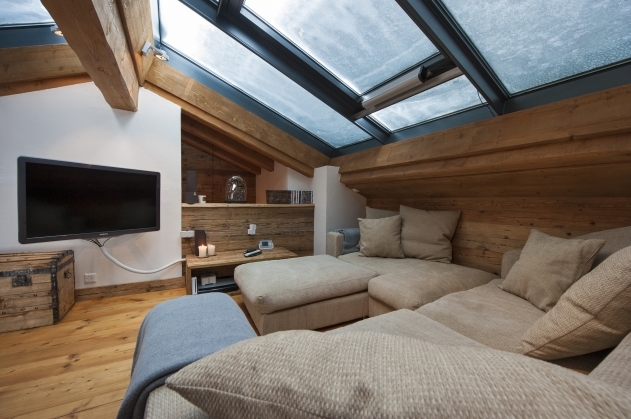 The apartment is equipped with state of the art technology including a Sonos music system linked to every room. The upstairs mezzanine level is a comfy snug with large plasma screen, DVD player , Apple TV or for the more energetic a Nintendo Wii. Each of the five individually designed bedrooms has an eclectic mix of vintage pine and cool contemporary features. 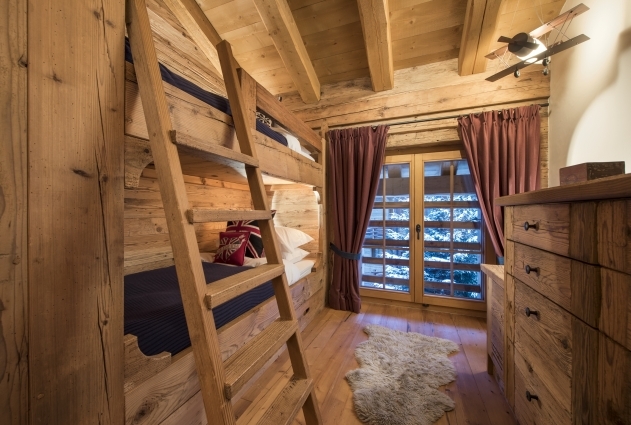 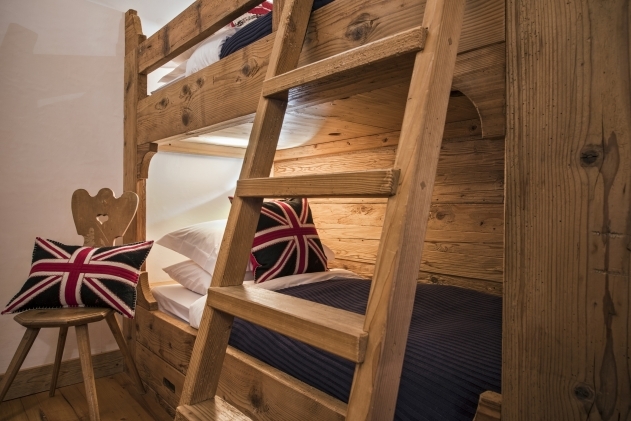 With two double bedrooms, two twin rooms and one bunk room the apartment can sleep 10 – 12 people very comfortably. 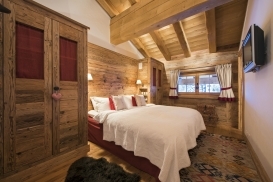 The master bedroom is quite unique with a spacious balcony looking out onto the mountains behind. 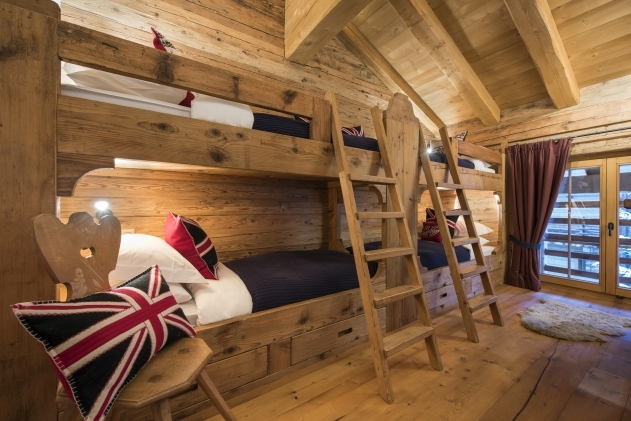 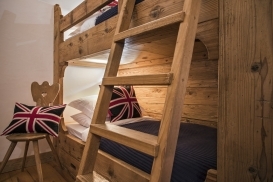 For children the bunk room has a toy cupboard and DVD player, giving them the perfect hideaway. After a hard day on the slopes, guests can enjoy afternoon tea with freshly baked cake and indulge in the apartment’s many luxuries; whether it be soaking in the private hot tub or having a sauna and hammam. 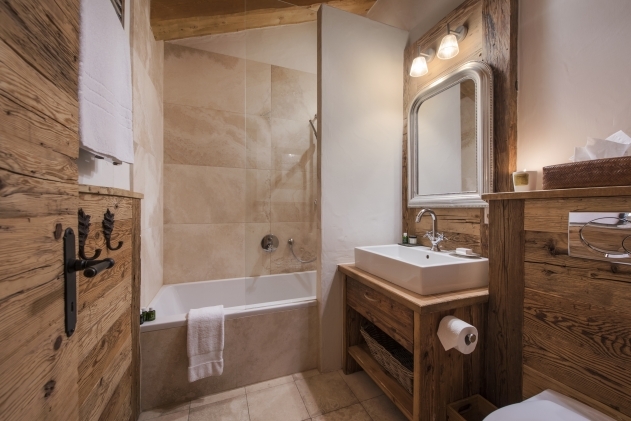 Apartment Teman is located in the same building as Apartment Shinn and the two can be taken together providing accommodation for up to 24 people. 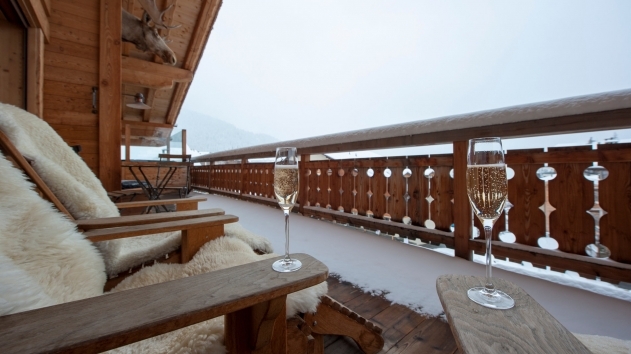 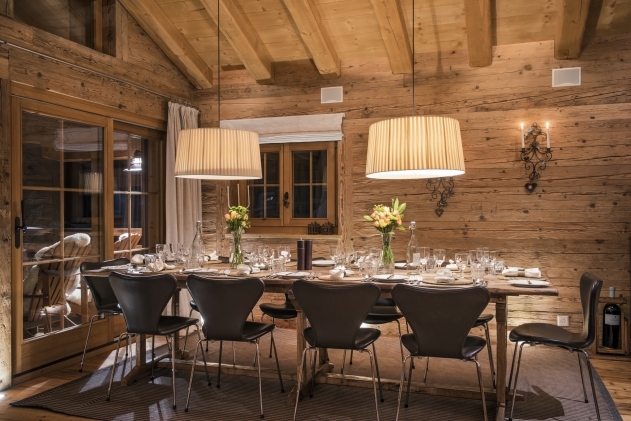 It can be arranged for guests to eat in the same chalet if preferred.